January 4, 2017 4:36 pm. THE Group 1 Chipping Norton Stakes is one of Sydney’s feature mile races which is held in either February or March. The $600,000 Chipping Norton Stakes is held at Randwick at weight-for-age level and it’s considered a major lead-up race to the Doncaster Handicap and the Sydney Cup. With names such as Phar Lap, Bernborough, Winx, Tulloch and Tie The Knot among the past winners list, the Chipping Norton Stakes is a race steeped in history. Winx is the unbackable Chipping Norton Stakes. No surprises to see Winx at the top of another Group 1 market. No other runner is in single figures. Alizee is the next best in the market at $13. Favourites have a good record in the Chipping Norton Stakes and it pays to follow the quality milers which aren’t looking for more ground. A lot of runners in the Chipping Norton Stakes are stayers looking for more ground, but this makes it easier for punters to sift through the field and find the winning selection.Quality thoroughbreds which have won as the favourite include the likes of Winx, Shoot Out, Starcraft, Lonhro, Tie The Knot (on four occasions), Super Impose and Our Waverley Star. The shortest favourite in recent history to win was Winx which paid $1.36 and the longest price paid was $80 when He’s No Pie Eater lived up to its name in 2007. The son of Canny Lad came from nowhere to win the Chipping Norton before taking out the Rosehill Guineas later that month. The best form guide for the Chipping Norton is the Group 2 Apollo Stakes which is run two weeks prior. Five horses have completed the double since 2005 – Winx (2016), Contributer (2015), Theseo (2010), Lonhro (2003) and Grand Armee in 2005.Winx and Tuesday Joy are the only mares to have won the Chipping Norton, which is a race firmly dominated by the males. The best barrier to follow is easily barrier four. It has a record of eight wins from the last 34 starts which is three more than any other barrier.Horses is barriers five and nine have struggled with only one win a piece from the last 34 attempts. 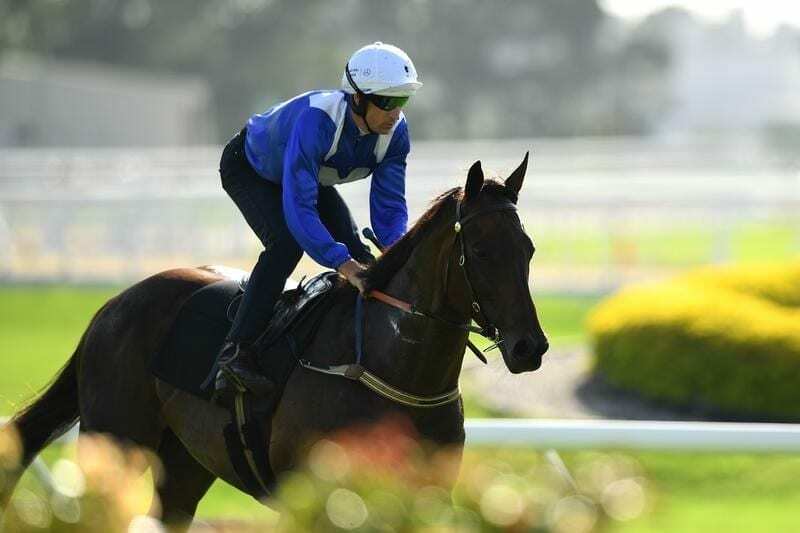 Horses drawn wide found it tough to cross from the 1600m when the race was held at Warwick Farm, but it has been made easier since the race moved to Randwick.Hugh Bowman is a world-class jockey and one to follow in the Chipping Norton Stakes. Bowman has had 13 rides for four wins and four placings.The training ranks are dominated by Gai Waterhouse and Chris Waller. Waterhouse has six wins from 27 starters and Waller has five wins from 28 starts.With the recent dominance of Chris Waller in Sydney, expect his numbers to rise over the next few years. It was meant to be a formality for Winx heading into her fourth Chipping Norton Stakes and while on paper it was a procession an enterprising ride on the second placed Happy Clapper certainly made it interesting. Blake Shinn speared the Clapper out to an early lead and rode the horse hard to lead by a long margin. The leader pinched a huge break, but of course the mare was good enough to run him down and stride away to record yet another Group 1 win. It was expected to be a stroll in the park for Winx in her third attempt at the Chipping Norton and the mare obliged to those who took the short odds. While she didn’t jump all that well Winx travelled well throughout and streaked away from the field untouched. Prized Icon battled well into second while long-shot Classic Uniform injected some value into the trifecta. 2017: There were a few punters which doubted whether Winx could win in the wet conditions, but the champion mare put those doubts quickly to bed. It cruised around the field to post an easy victory where it never left second gear. Race rival Hartnell was left three-wide and flat footed into the straight and the only horses making ground were stayers. The win gave Winx 15 consecutive wins and back-to-back Chipping Norton Stakes successes. Read full report. 2016: Winx continued on its unbeaten run 2016 when taking out the Chipping Norton Stakes by 1.5 lengths. The champion mare settle near the back of the field before starting a searching run nearing the corner. It easily found the front in the straight before pulling away from the likes of Dibayani and Hauraki. Winx would continue through its 2016 campaign without suffering a defeat. 2015: Contributer scored the prize for the many punters which took the $2.50 on offer. The John O’Shea-trained import burst onto the scene in 2015 and it continued its winning way by taking out the Chipping Norton over stablemate Hartnell. The five-year-old held on by a half-length over Hartnell which was making its Australian debut and although the rest of the field was made up by long-distance staying types, the win was one of Contributer’s career highlights. 2014: Boban scored a minor upset in 2014 when downing $1.90 favourite It’s A Dundeel. The Chris Waller-trained gelding was paying $4.75 so a good run was expected, but after It’s A Dundeel hit the front in the straight many punters thought the race was over. Boban kicked strongly on the outside and pulled away for a one length victory. Waller also trained the third-placed Hawkspur and Moriarty which finished in fourth. 2013: Chris Waller scored his second consecutive win with Shoot Out in 2013. The six-year-old was always well-favoured in the betting which was the case here. The Hugh Chaparral gelding paid $4 for the win with Hugh Bowman in the saddle and the ride was perfection. Shoot Out sustained a long run after settling back and it nabbed Monton right on the line to win by a nose. The disappointing effort in the race came from $5.50 chance Manighar which finished 11th. 2012: Shoot Out scored the first of its two Chipping Norton Stakes victories in 2012 and it did it in style. The five-year-old settle near the pace before pouncing at the 300m where it put two lengths on the chasers in quick time. The $5 win chance defeated stablemate Danleigh and Trusting to secure a good result for punters. The only disappointment was from $2.38 favourite Pinker Pinker which ran sixth.